Here I am Lord. It is I” Do these words sound familiar? Yes, the Lord is calling you! When: Every Thursday from 9:00 a.m. - 6:00 PM. Our Fall session was a strong testimony on the behalf of this ministry to develop a special and personal relationship with Jesus when present before us on the Altar. We are hopeful more people will feel the desire to deepen their relationship with our Lord and Savior by joining us the Spring! 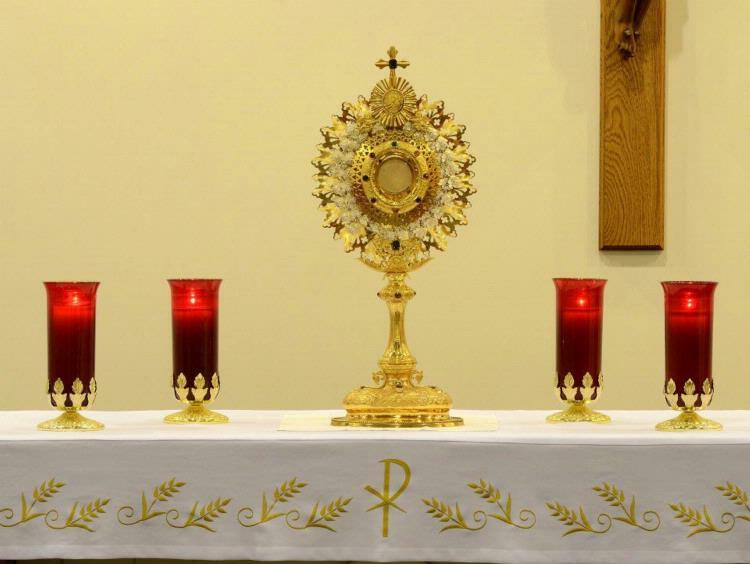 You do not need to be schedule to stop in for Adoration. You are welcome any time! For more information, please call the parish office 755-1953. For more information or to sign up for an hour, call the St. Michael parish office at 722-3071.